If you already teach English, we’ll build you custom courses that align with your curriculum so you can offer your learners additional practice with authentic content on our web and mobile applications. Scripted conversations and fake articles don’t reflect how people actually speak in the real world. 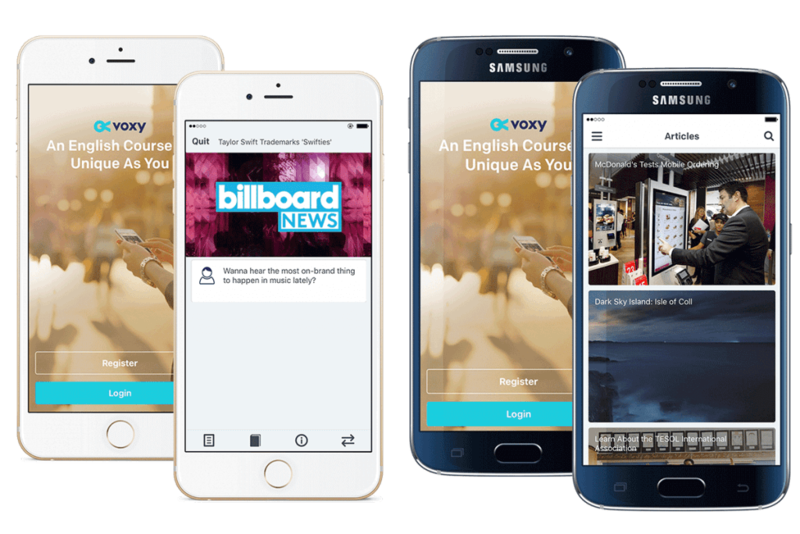 Voxy has more than 10,000 real-life videos, conversations and articles that immerse learners in the English that native speakers use every day. We will hand-pick English resources for you that illustrate the concepts you teach and organize them into courses available exclusively to your learners. Expand your offering to include web, iOS and Android applications. With custom courses aligned to your curriculum, you will be able to use Voxy’s state-of-the-art technology as an extension of your school’s curriculum. If you have existing, specialized content in English that you want your students to learn, we can also incorporate it directly into the platform and turn it into English lessons.